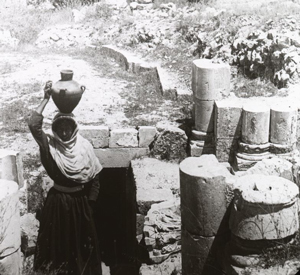 People had been coming for centuries to the well where Jesus and the woman met. Jacob himself drank from the well. The place was one of ritual and tradition, to which people had walked, drawn water, and returned home with more than when they arrived. Never before this meeting, however, did one return from the well with so much—all by leaving things behind. The woman left her jar there and with it her former attitudes toward Jesus. Initially she was resistant and deceptive. But His love, compassion, and mercy moved her heart in such a way that she was ready to embrace His message of conversion. Think of Lent as a centuries-old well. We come with ritual and tradition. We meet Jesus and hear His words—often an invitation to conversion. We are asked to leave things behind. When we return from the well on Easter Sunday, will we have left enough behind so as to enter into new life?